of quality blank pages is ready for you to jot down some thoughts or add a little, colorful artistic flair to your special alone moments. 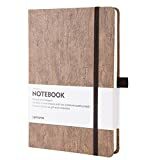 The unique notebook cover is made out of cork, and that’s planet-friendly because it’s a natural and sustainable material. The notebook pages are micro-perforated, so you can easily remove one at a time without ripping into the other pages. The cork notebook has 90 sheets or 180 pages that are made of 120g high-quality, acid-free writing paper. The beautiful journal is great for traveling with you anywhere and makes for a super gift for students, artists, journalists, businesspeople, designers and for young and old. The cool cork cover is also 100 percent vegan that is recyclable and pollution-free. Journaling isn’t just for girls because a lot of men also write down their thoughts to help relieve stress and reduce anxiety. Social media can often put a lot of us in a bad mood, and we get stuck in the instant communication routines of Facebook, Twitter, Instagram, etc. Putting away our laptops and cell phones for a while can help us re-focus; paying quiet attention to ourselves is actually a really good thing. Behavioral experts believe that journal writing can help us solve situations that might appear daunting because we reassess the matter and look for better solutions. Writing also helps one to become more creative and get in a more positive frame of mind. example of having a well-made notebook that allows for true self-expression. It makes a lovely gift and something the recipient will treasure. ECO FRIENDLY NOTEBOOK - Lemome choose cork fabric as notebook cover, cork is such a versatile, natural and sustainable material. It feels soft and supple to the touch like leather, but its 100% cruelty free and so much better for the environment. Great GIFT for any VEGAN. LAY-FLAT 180° PERFORATED NOTEBOOK - Thread-bound lay-flat design make you reading more easy and note-taking efficiency, enjoy your writing by hand with no distractions. All of the classic notebook pages are micro-perforated, easily to tear off or archiving anytime. 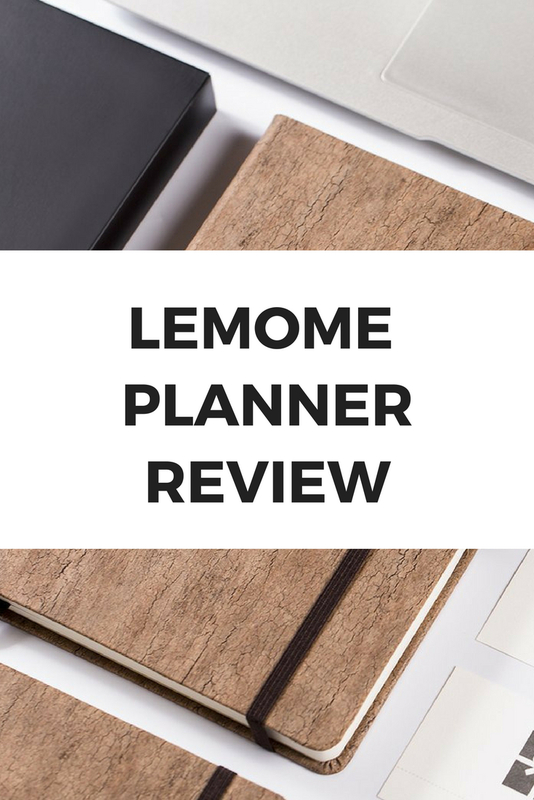 PREMIUM THICK PAPER NOTEBOOK - Lemome choose 120g high quality acid free writing paper. Which is environmental, recyclable, pollution-free and has no fluorescer, can effectively protect your eyesight. The paper 20%-50% thicker and smoother than normal, suit for most pens. FUNCTIONAL & STYLISH NOTEBOOK - Sturdy Sewn Elastic PEN HOLDER + Expandable POCKET + Elastic Closure STRAP + 1 Ribbon BOOKMARK. Cool cork cover will give your journal a distinctive look from standard journals. Dimensions: 8.4 x 5.7 in, great for your purpose & perfect size for on-the-go.